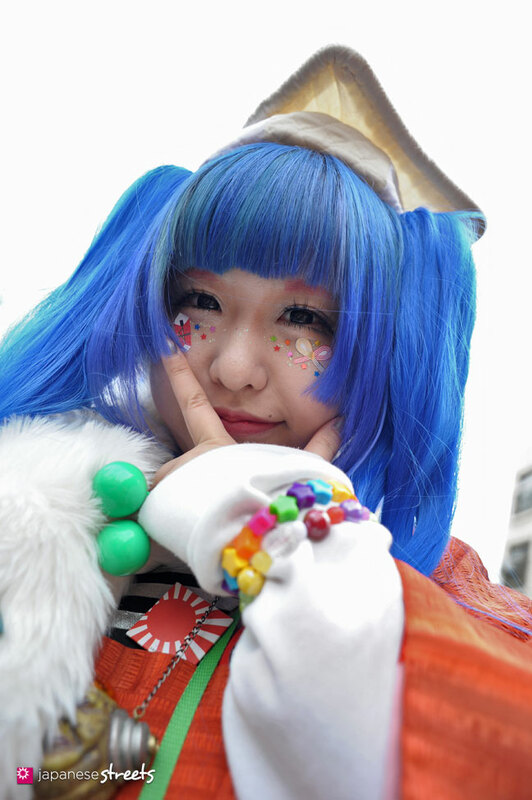 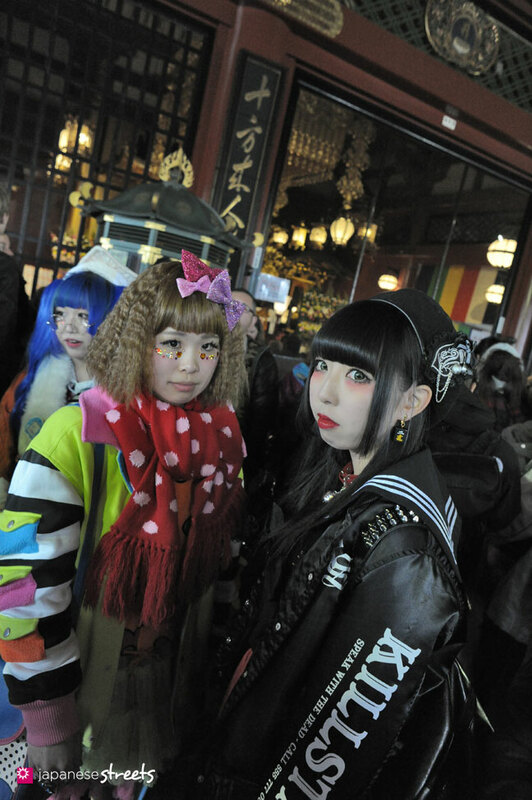 For the first time in its history, the Harajuku Fashion Walk left Harajuku. 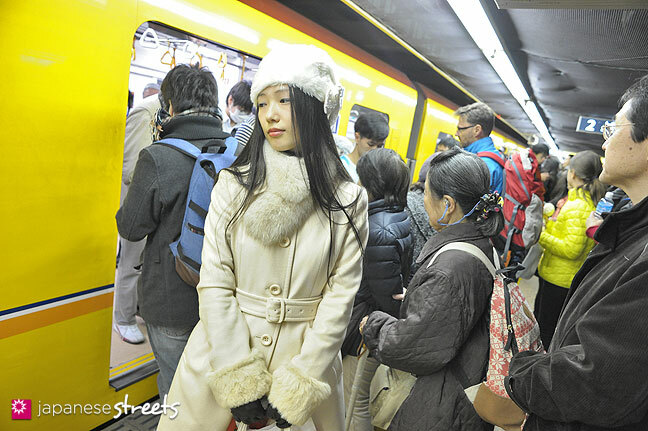 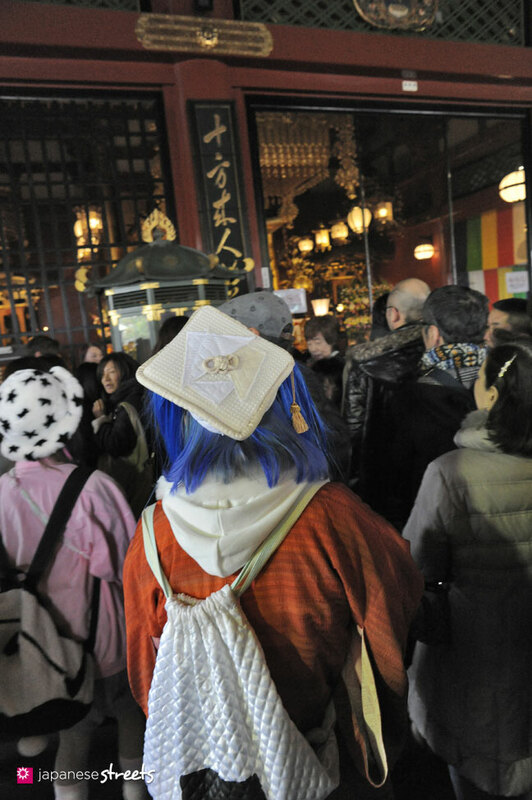 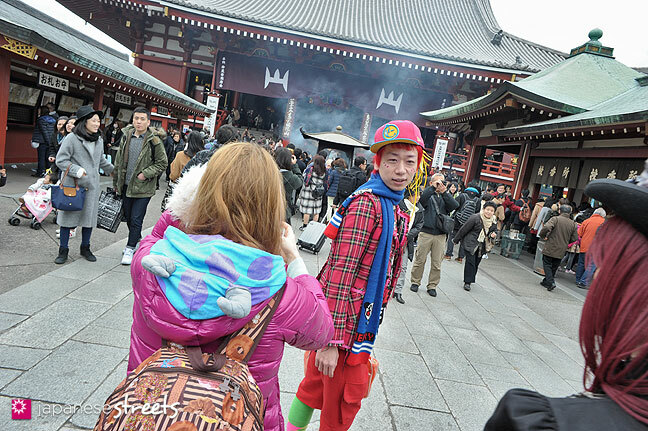 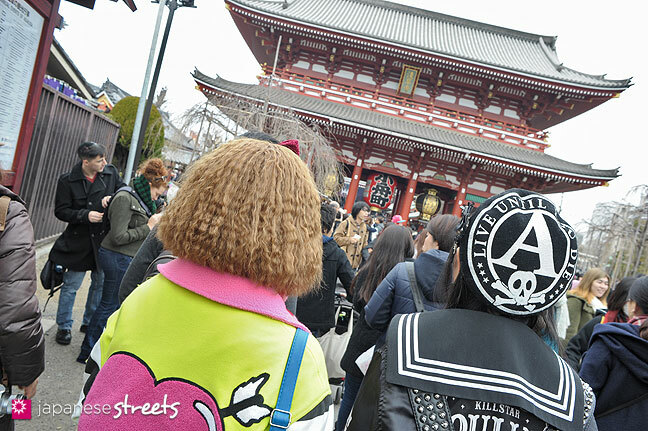 With over 20 people, we explored Tokyo’s Asakusa and Ueno districts. 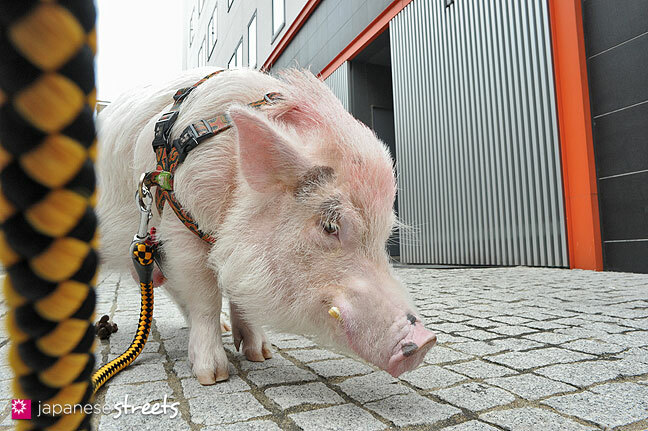 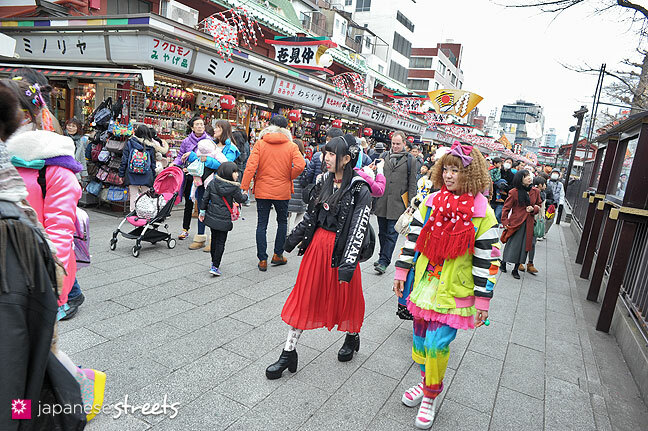 After visiting the historical Buddhist temple of Sensoji, we walked through the backstreets where we discovered a Harajuku style pig, a Japanse ghost on stilts, and some excellent chocolate covered bananas. 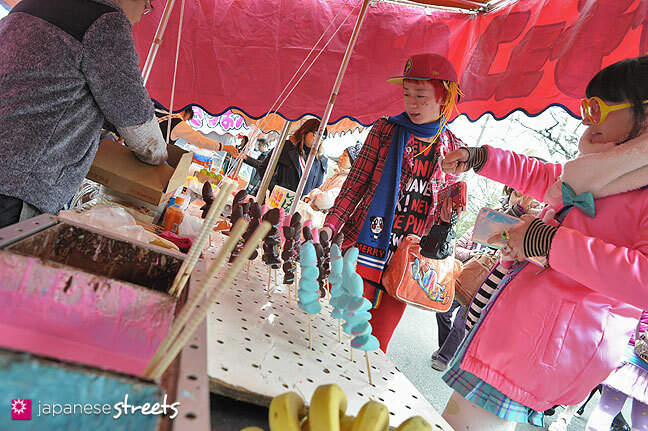 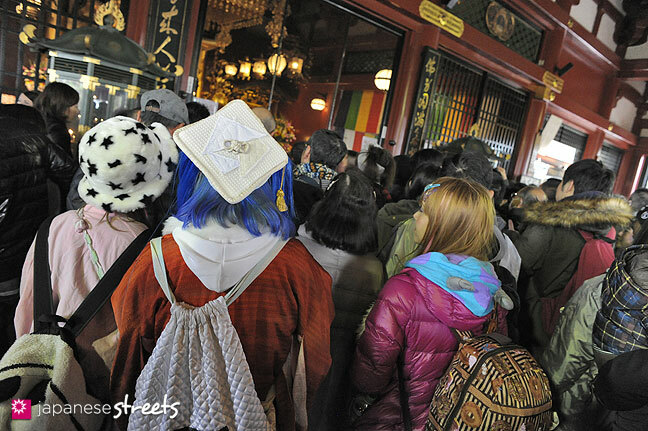 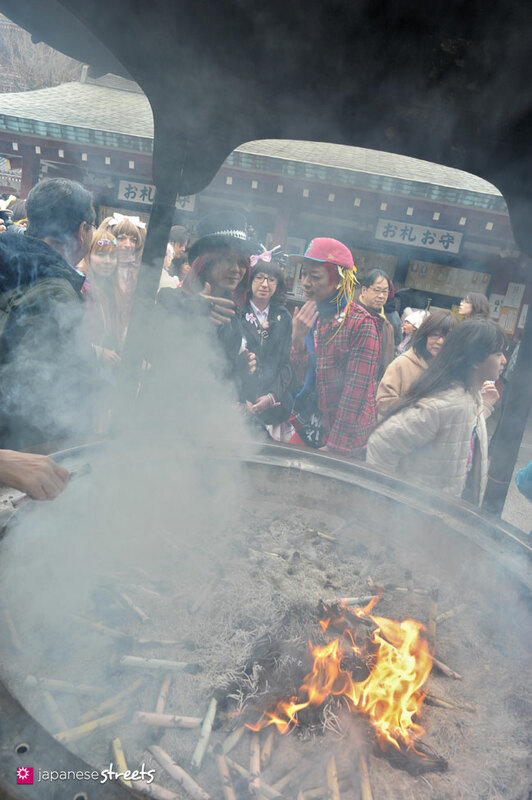 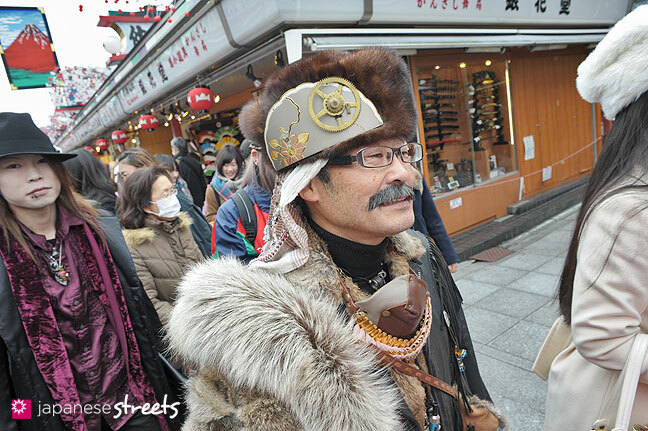 Later, a smaller group checked out Ueno Park, and Ameyokocho, Tokyo’s last black market. 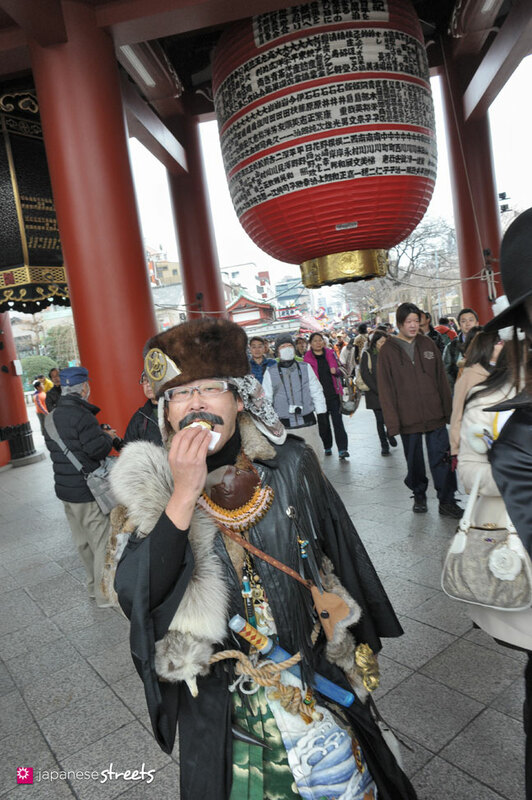 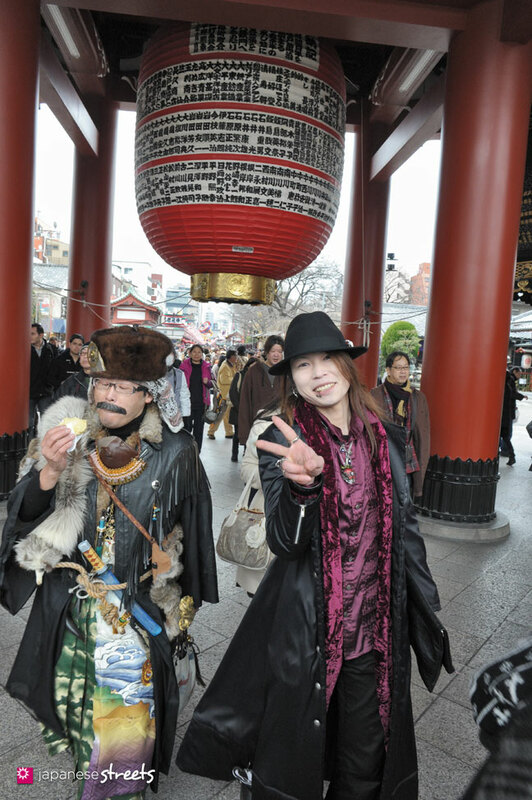 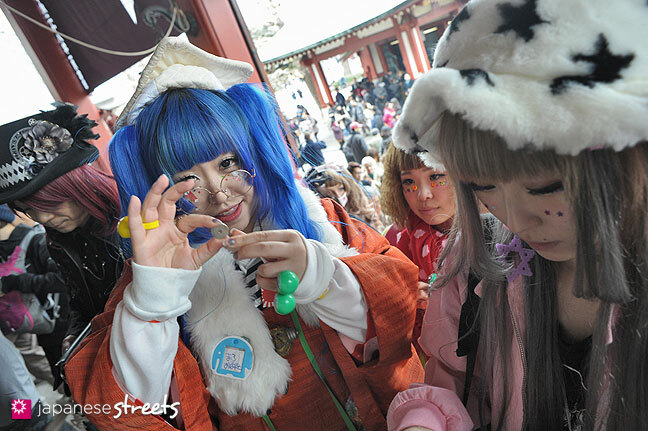 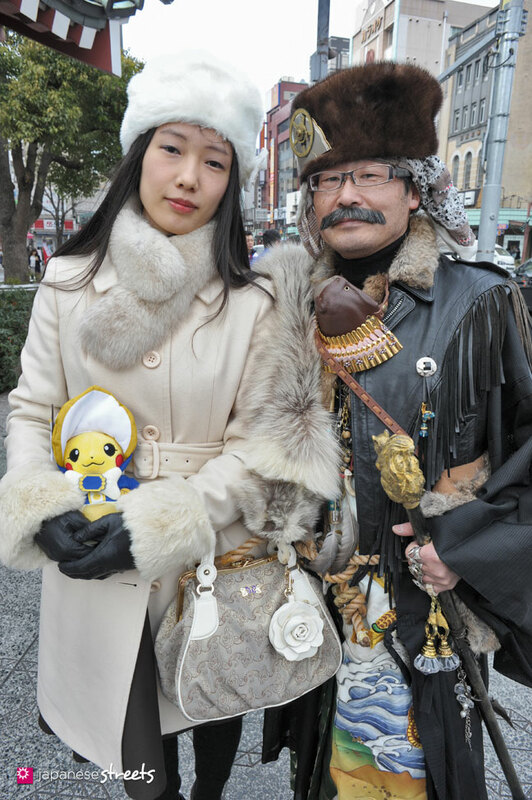 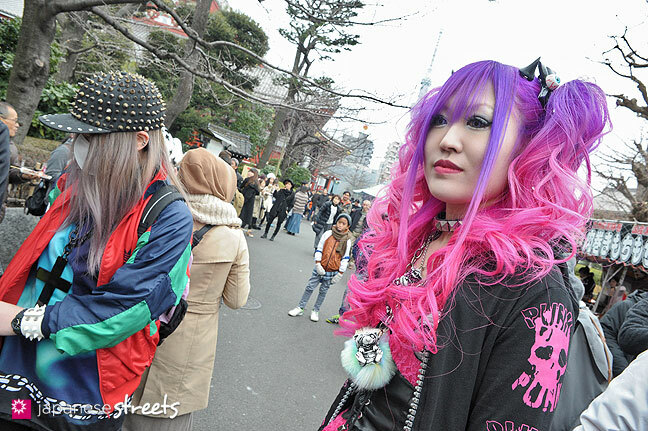 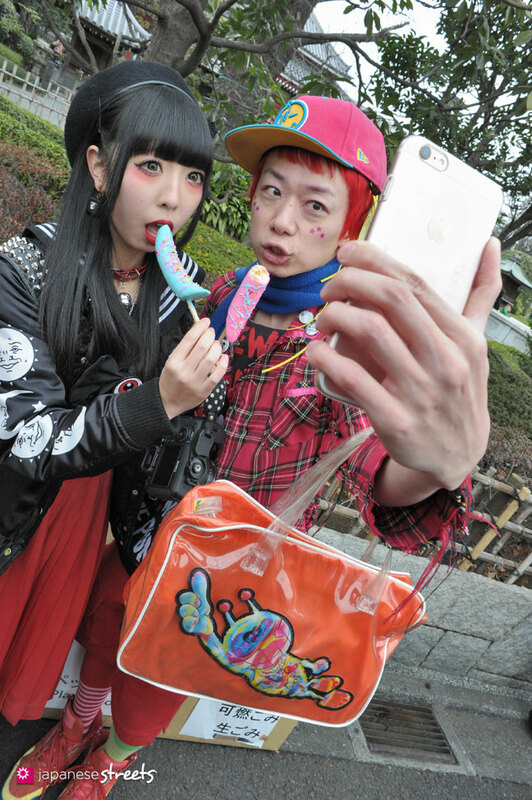 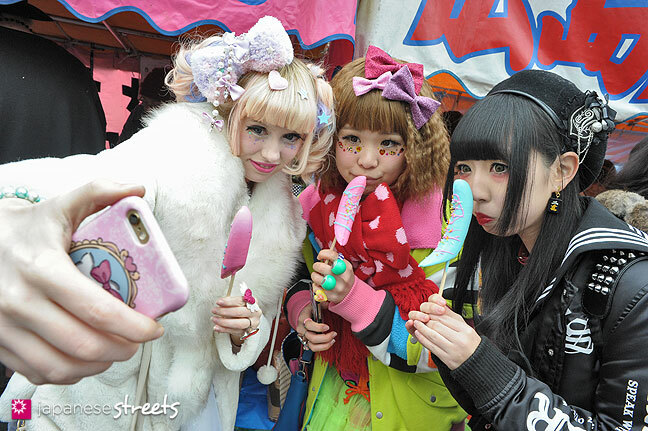 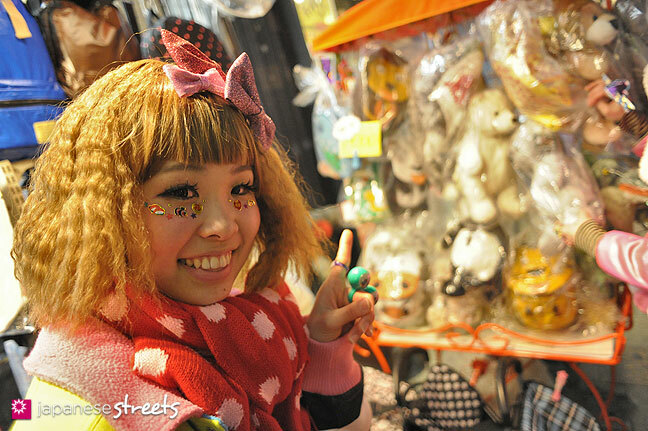 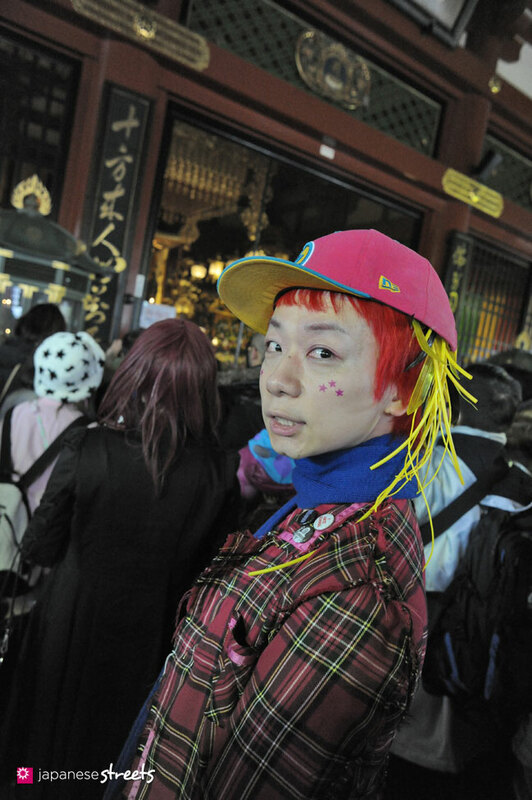 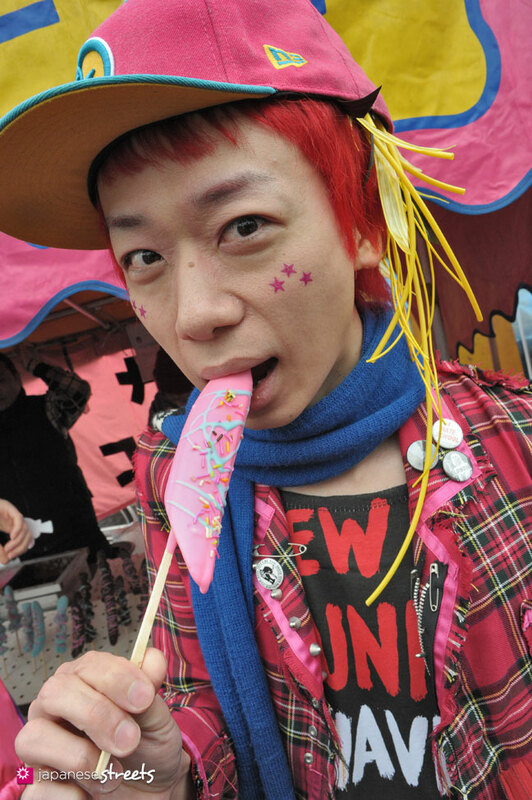 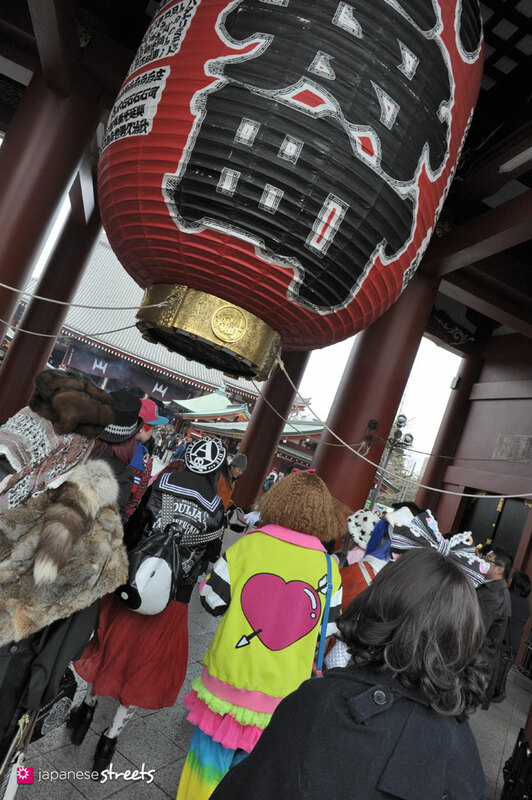 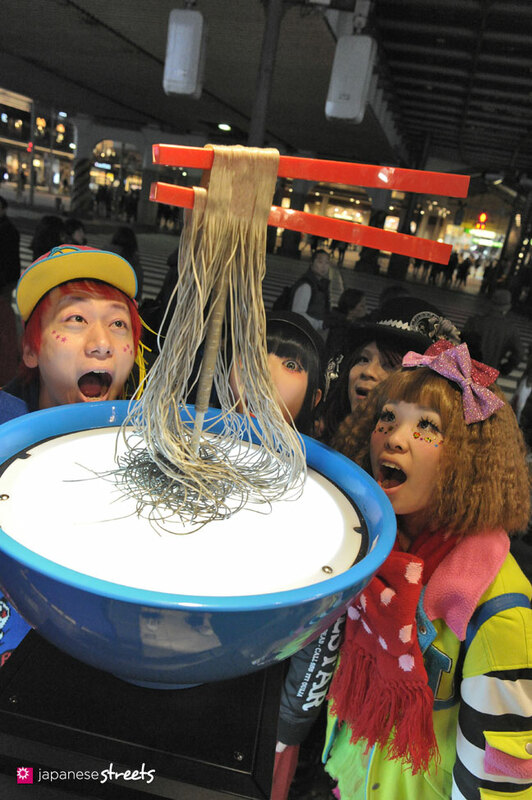 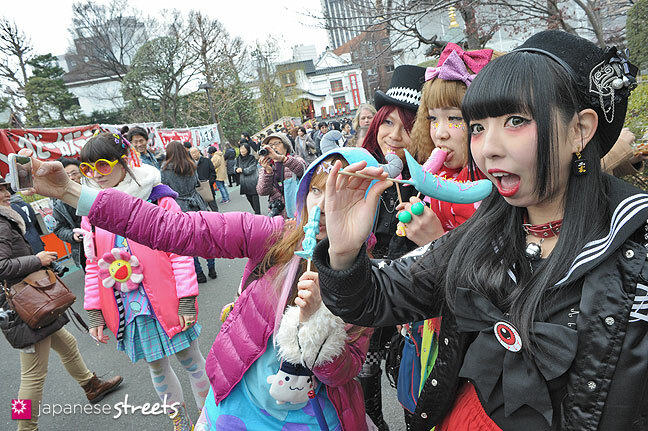 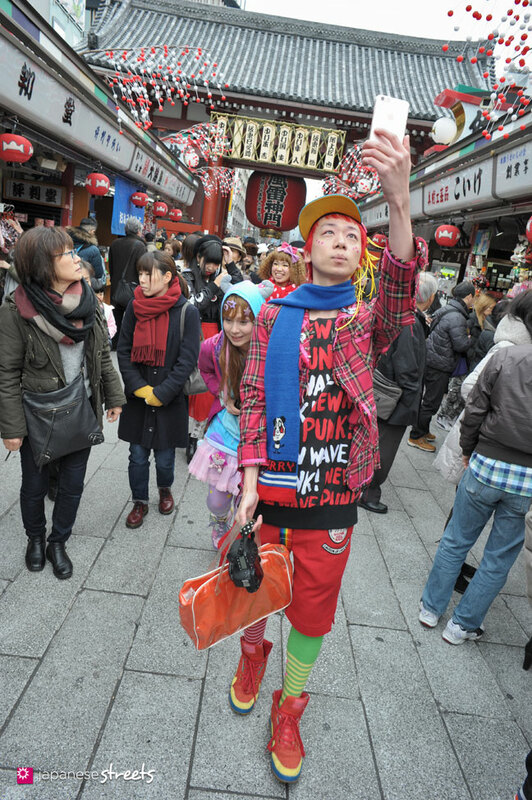 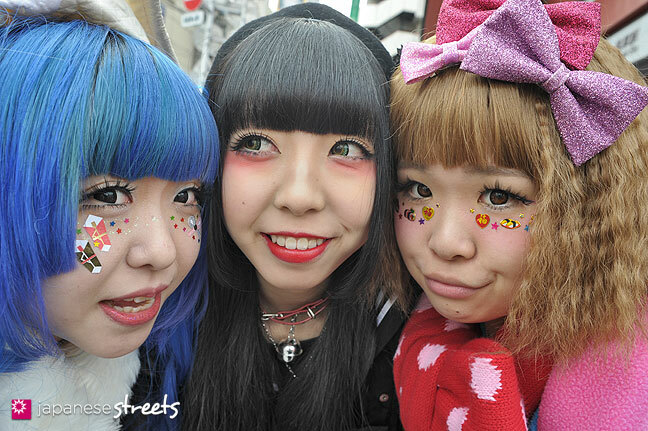 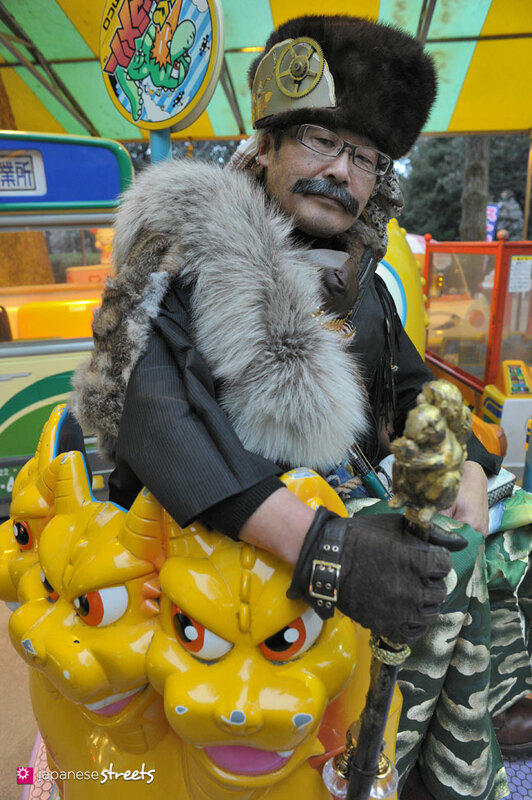 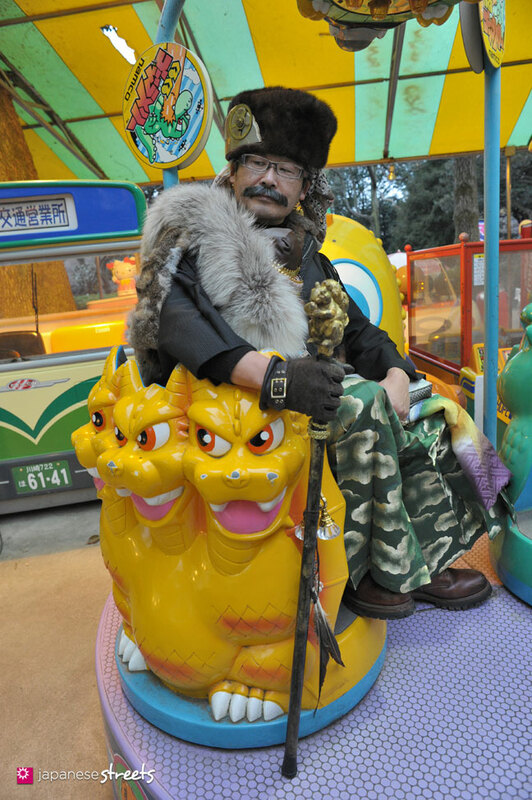 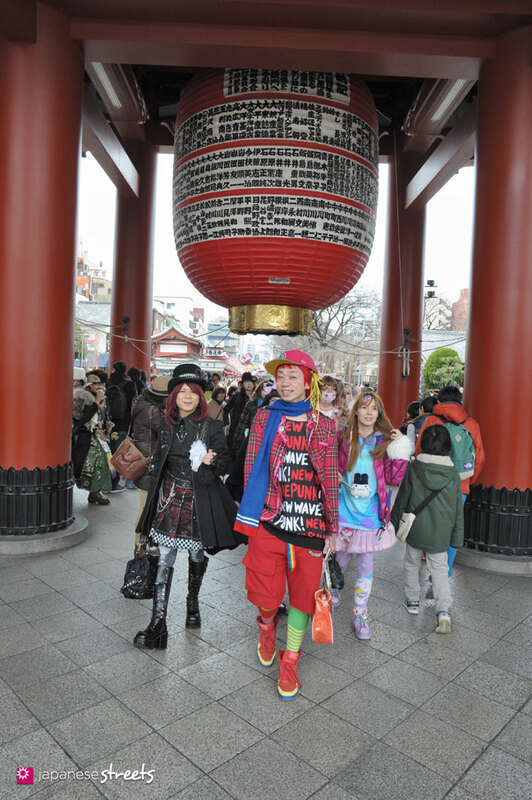 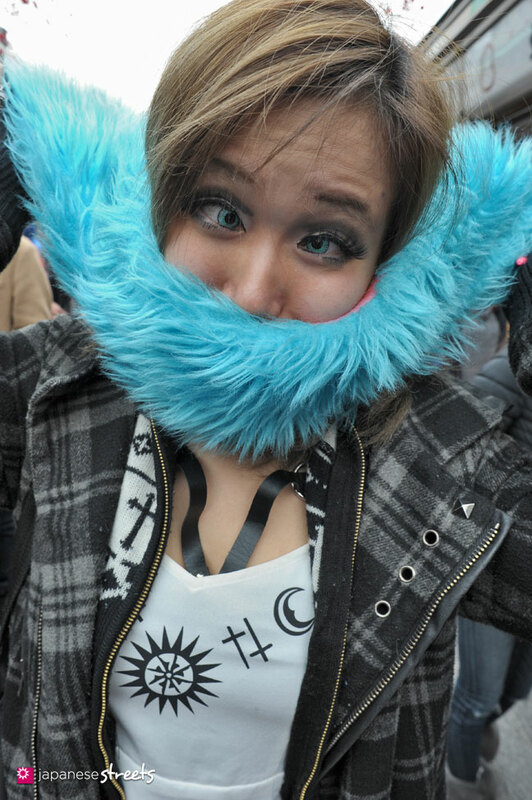 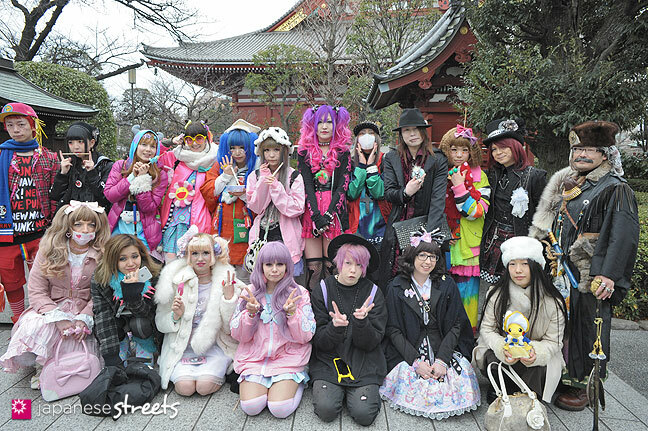 The next Harajuku Fashion Walk will take place on Sunday, January 31. 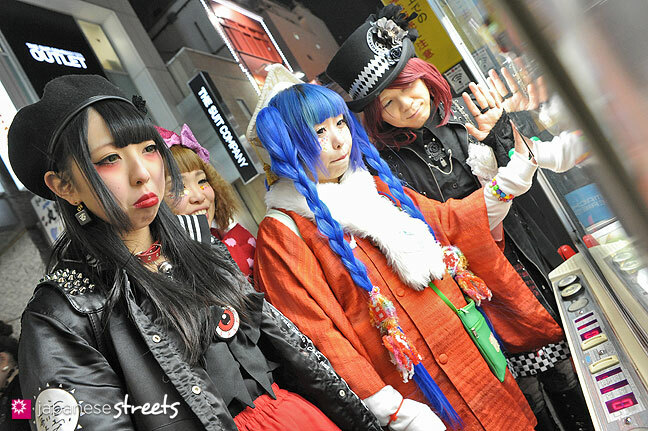 Once again in Harajuku. 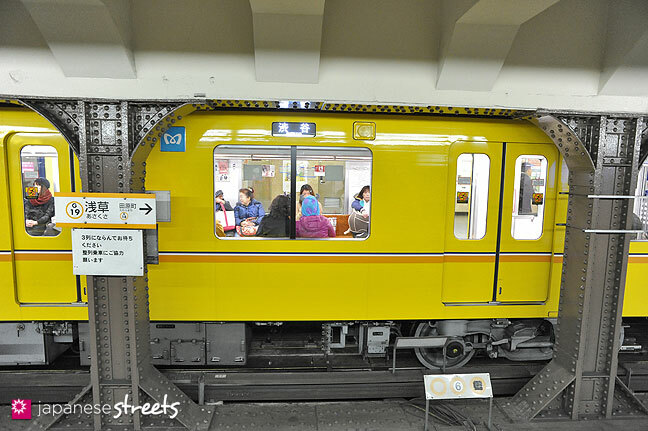 As always, we will leave at 2 PM from the Takeshita-dori exit of JR Harajuku Station. 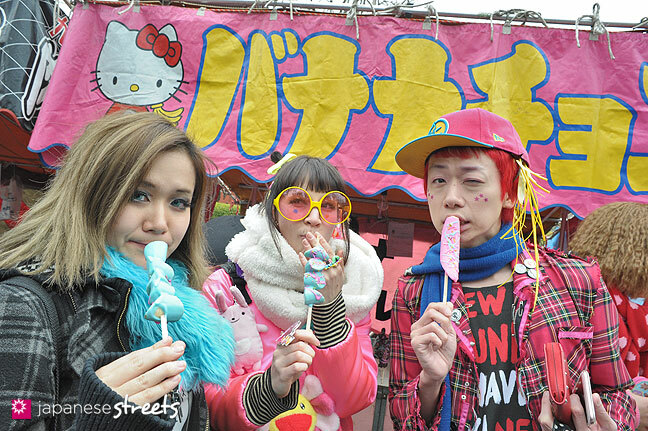 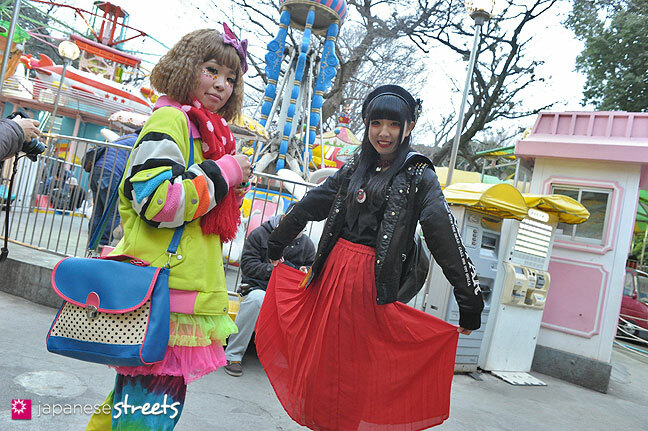 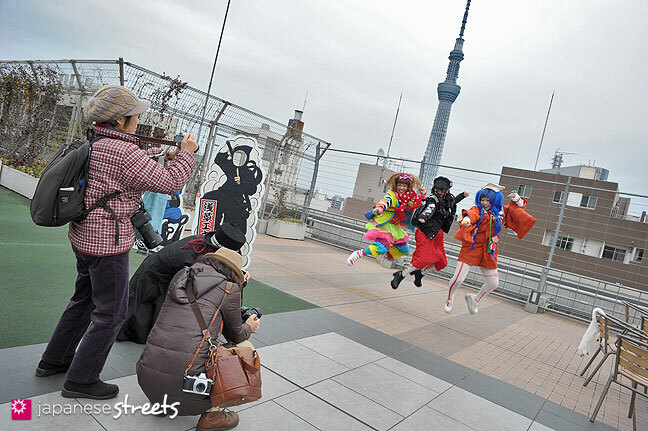 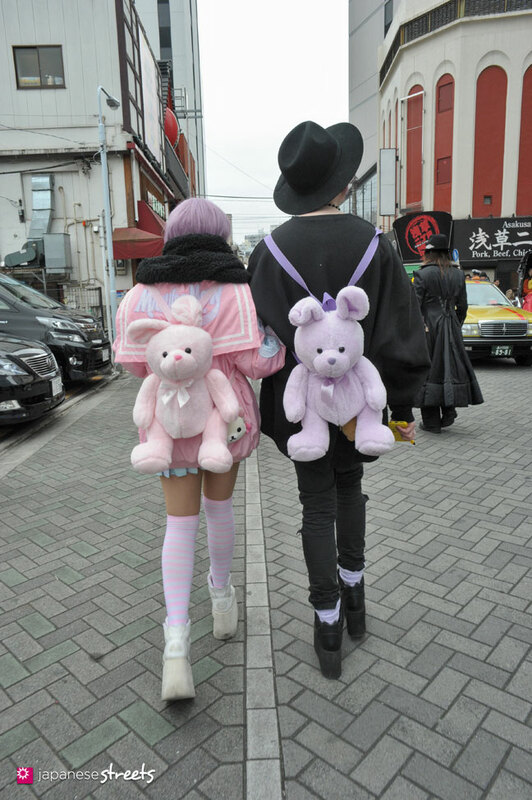 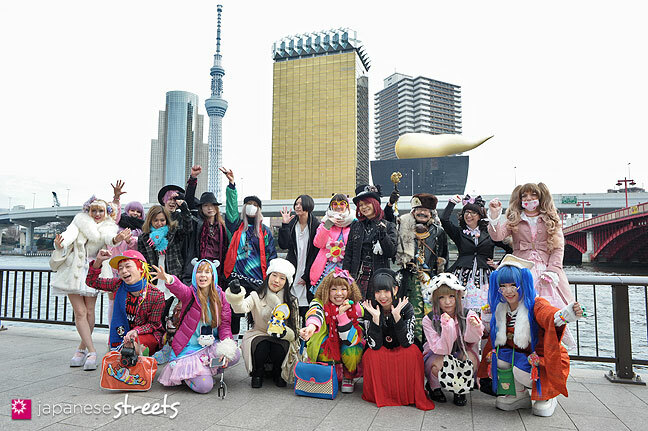 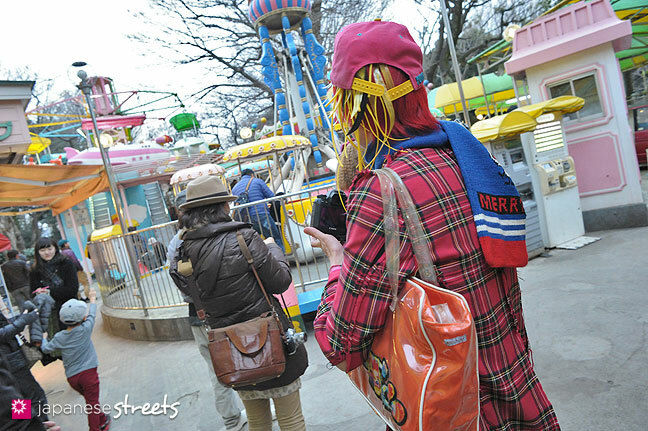 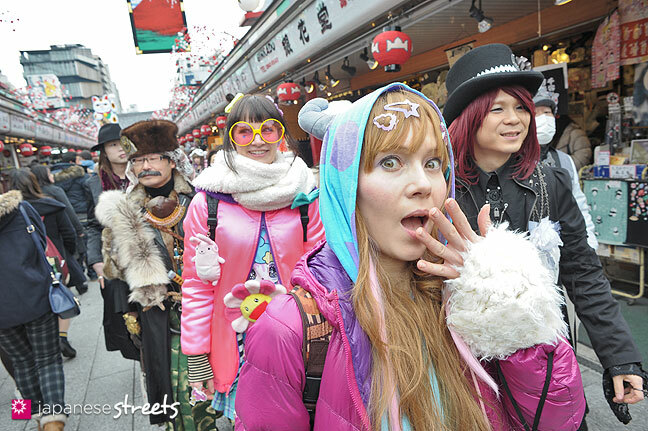 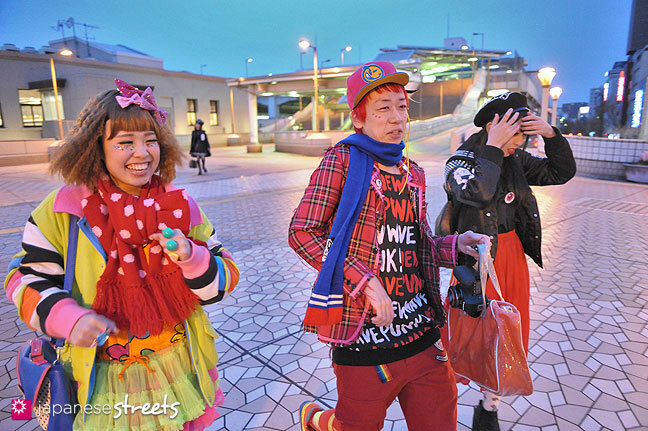 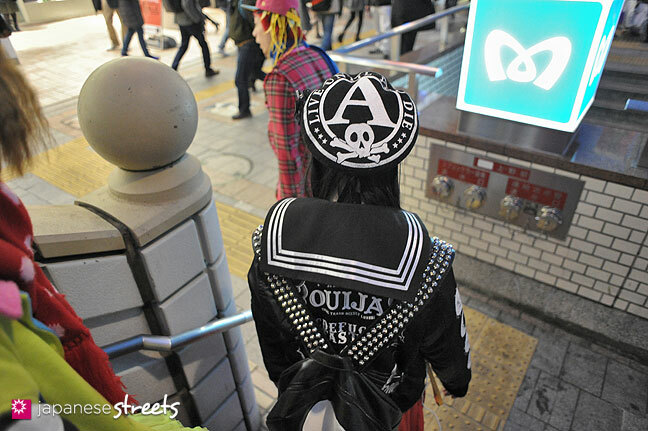 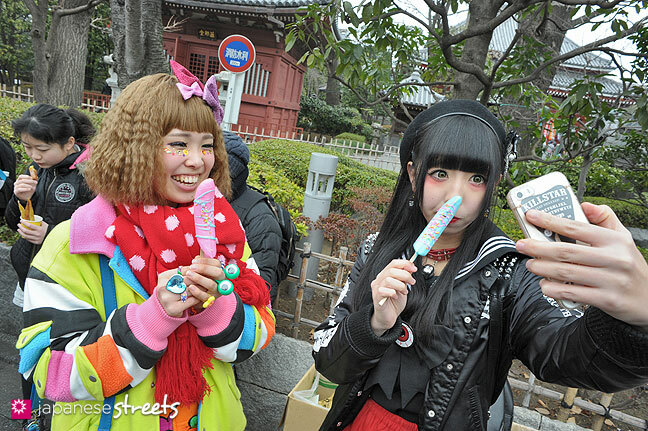 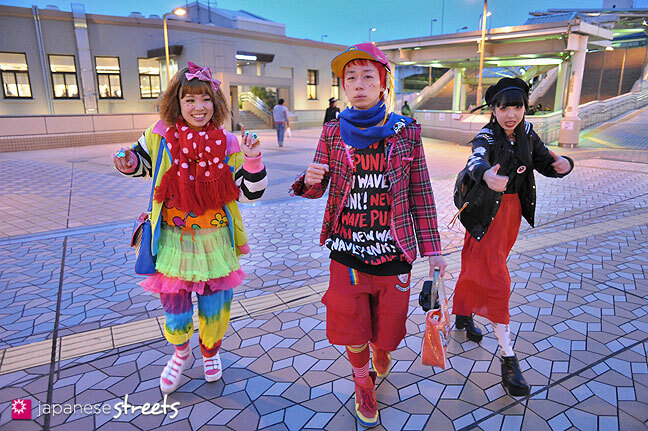 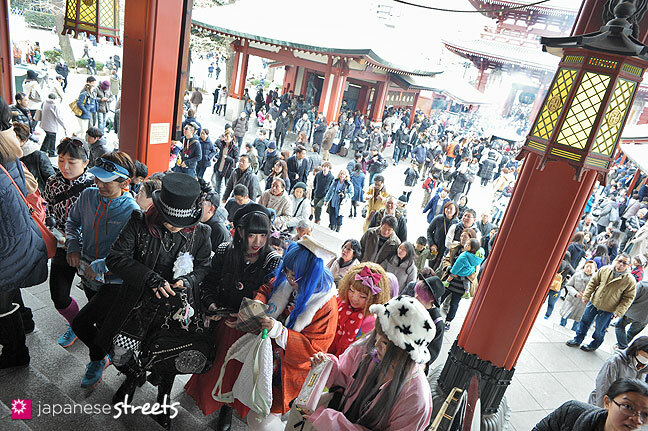 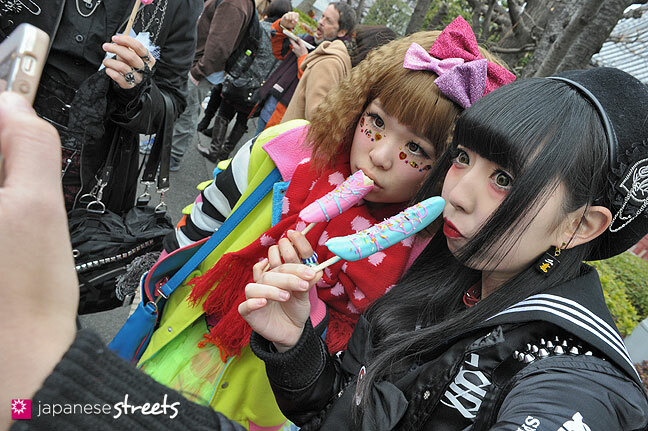 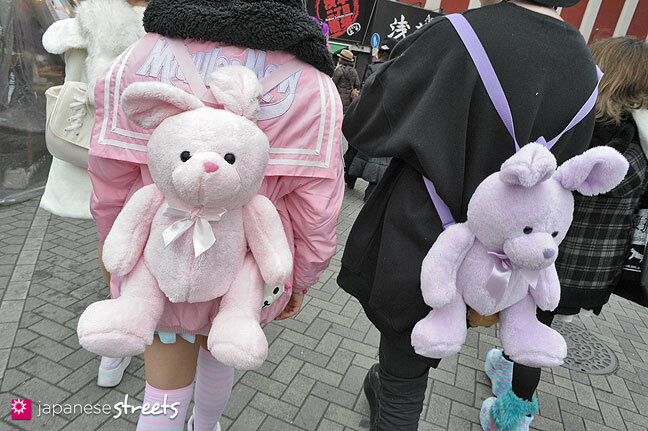 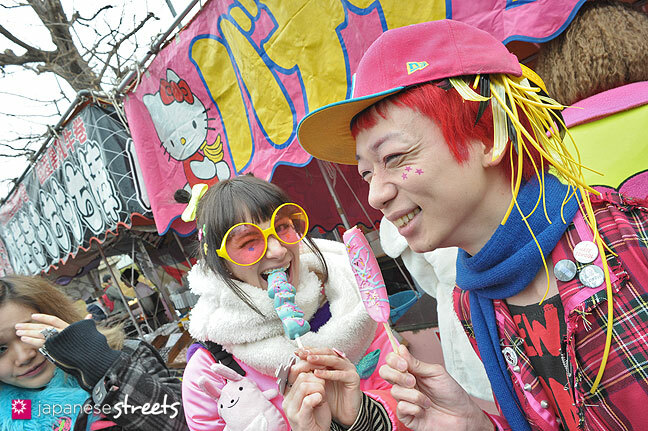 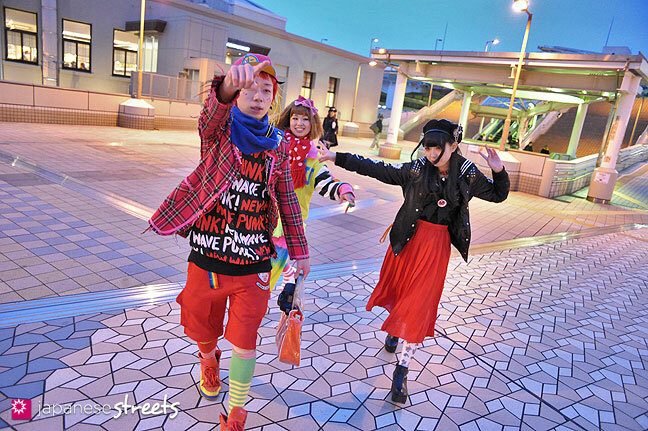 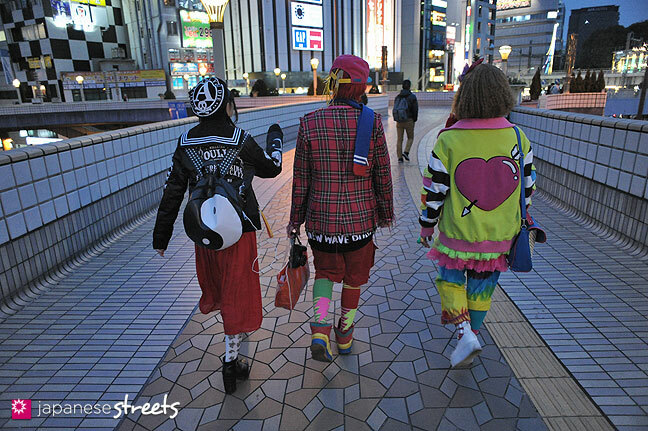 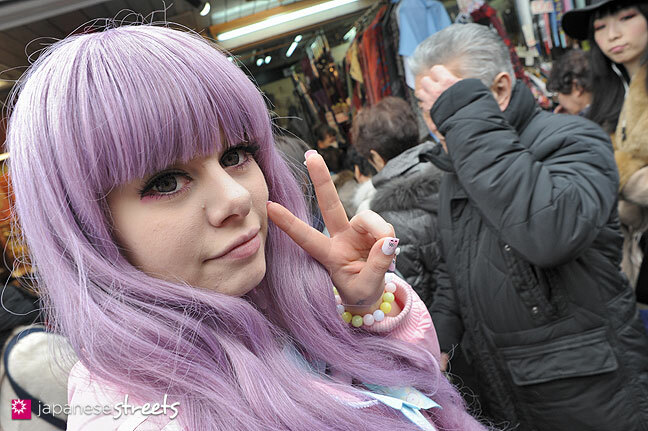 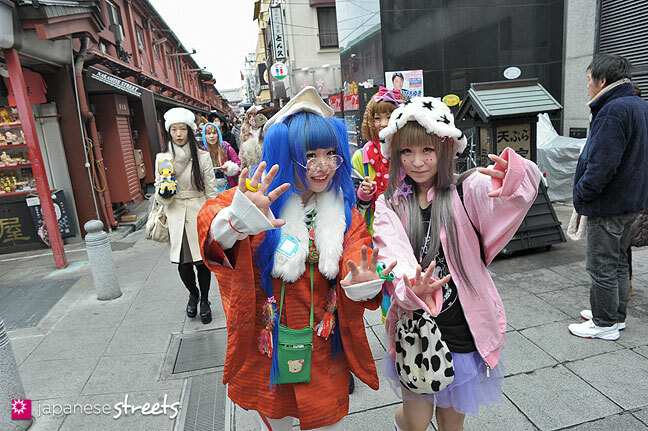 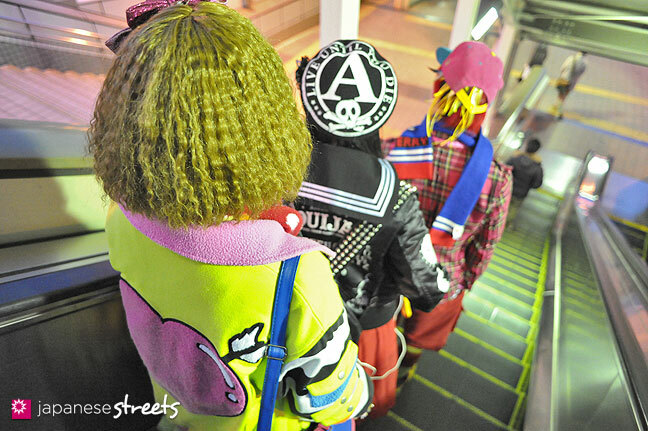 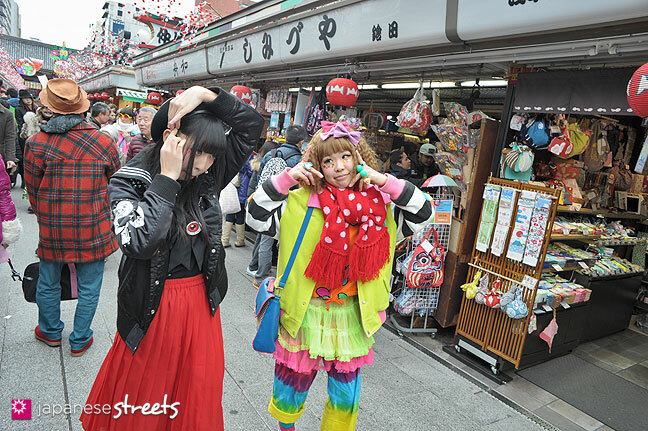 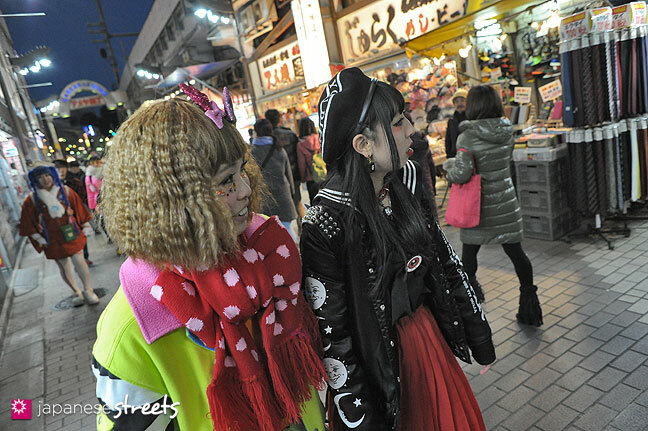 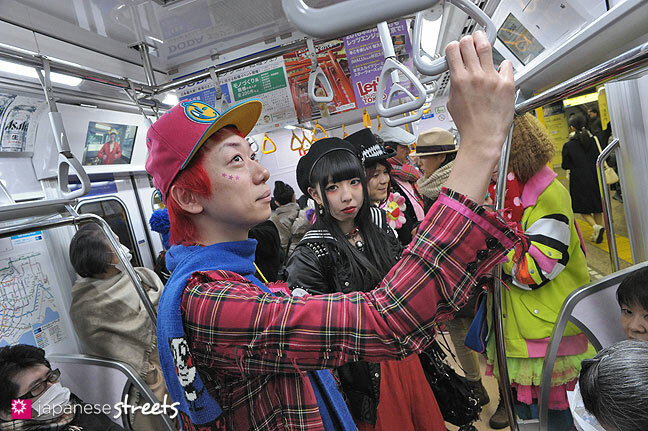 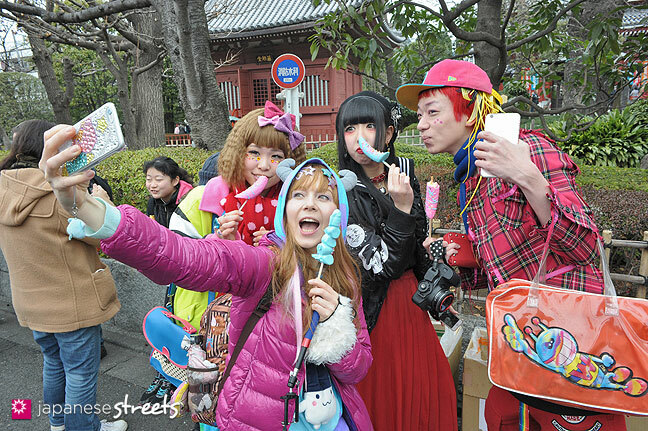 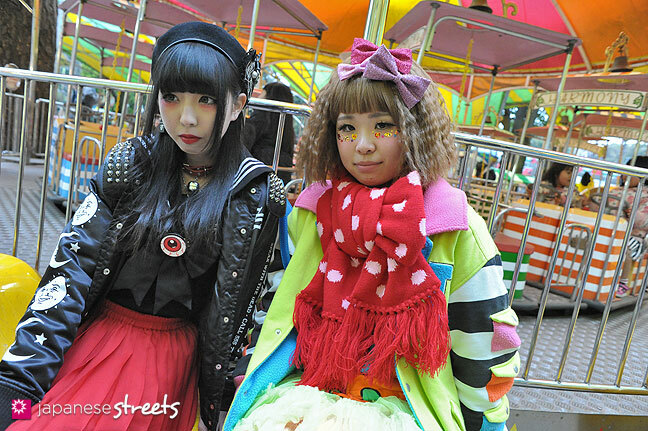 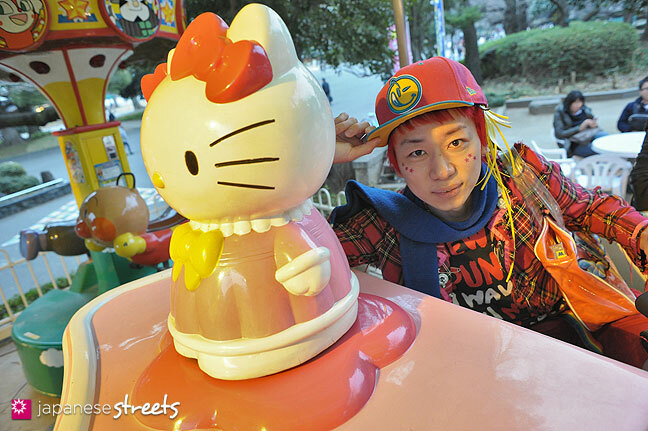 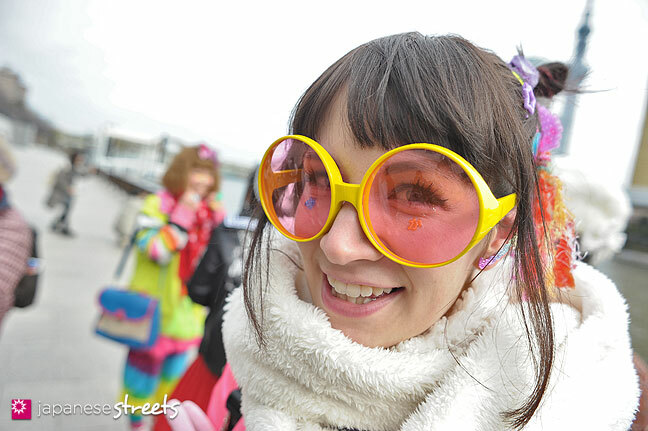 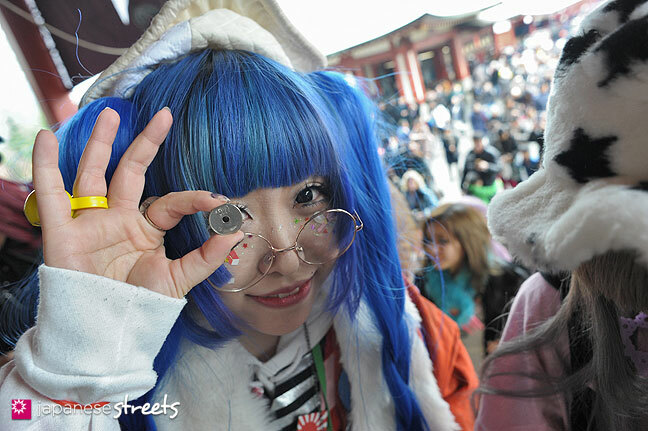 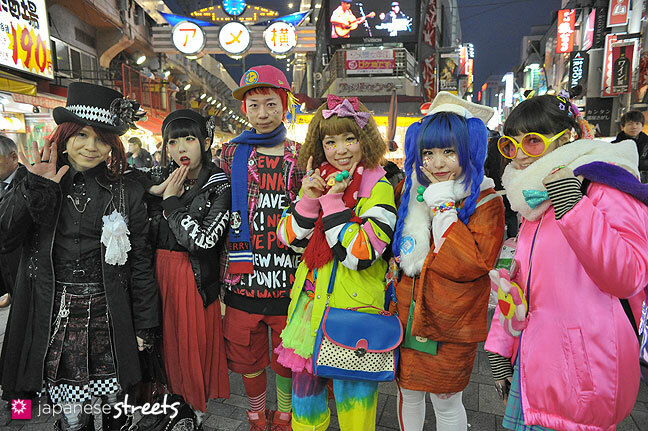 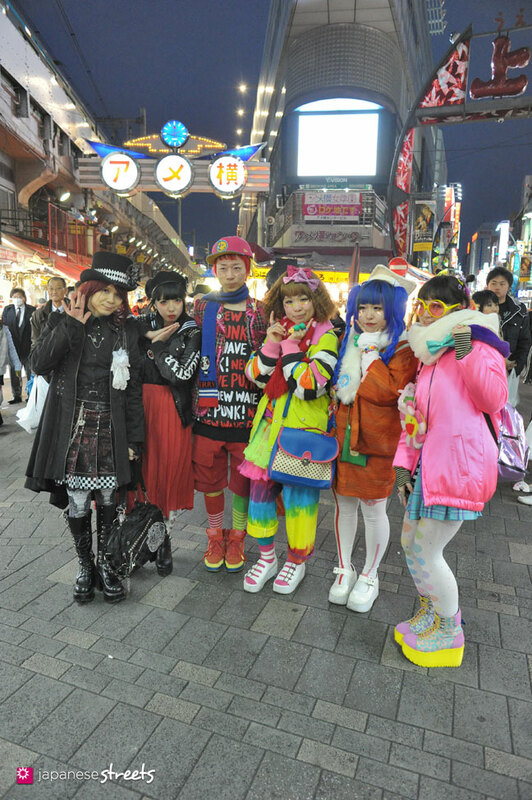 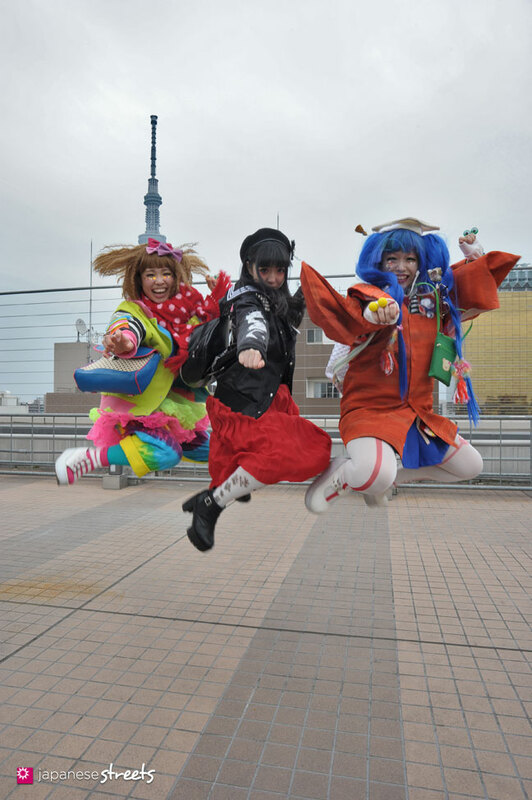 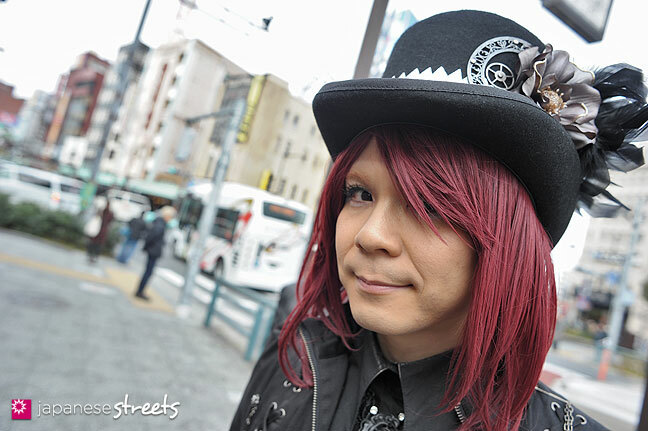 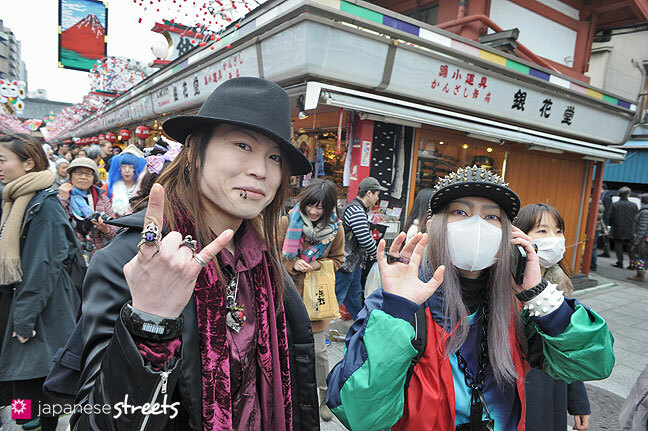 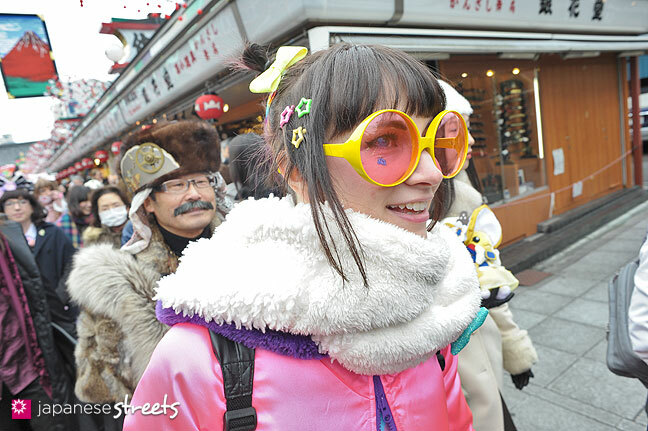 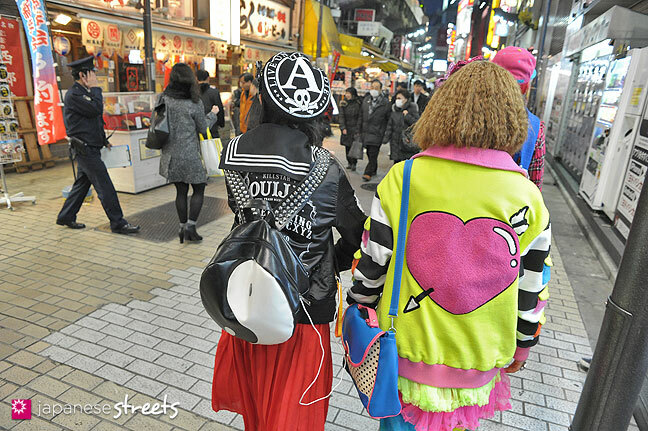 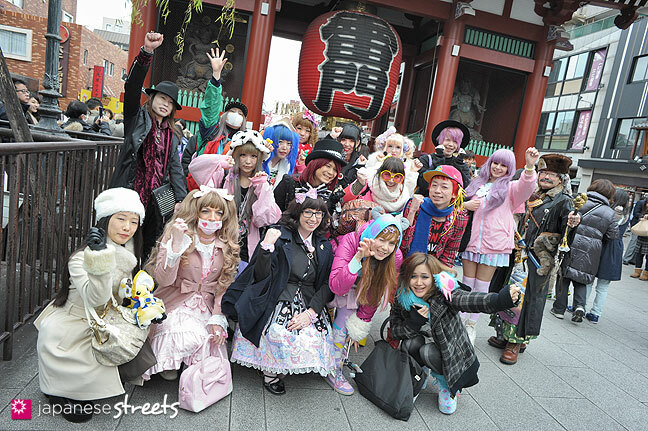 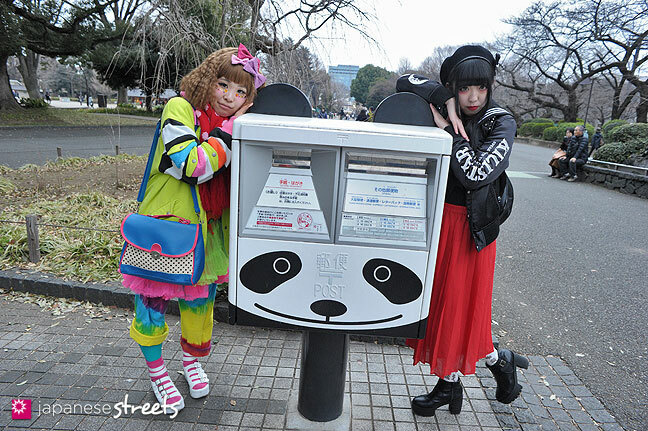 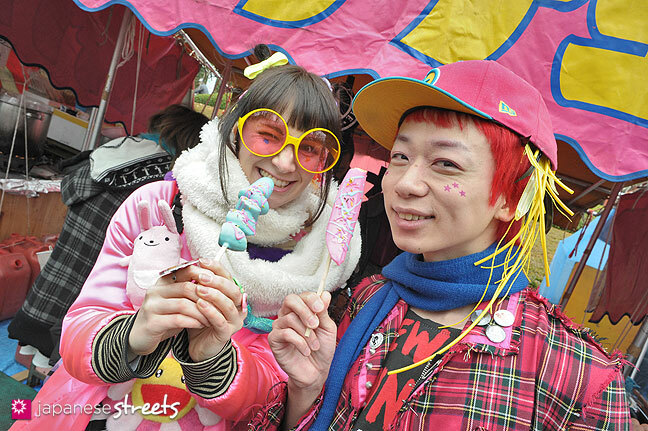 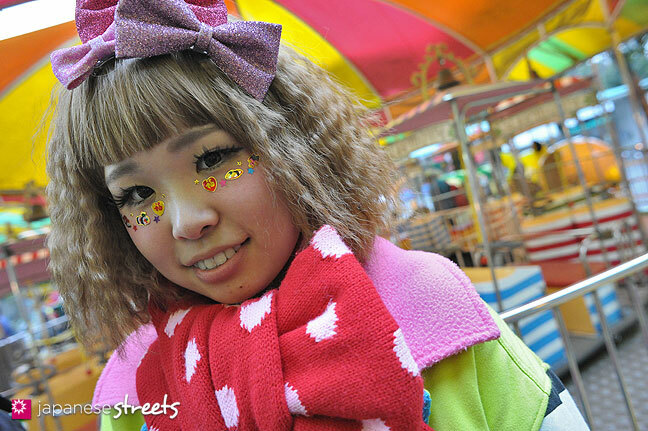 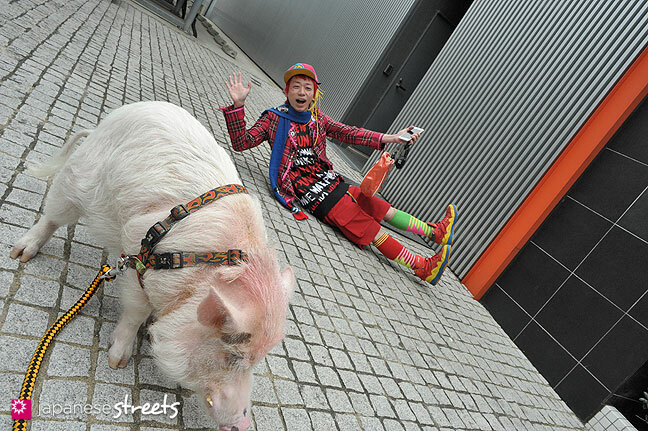 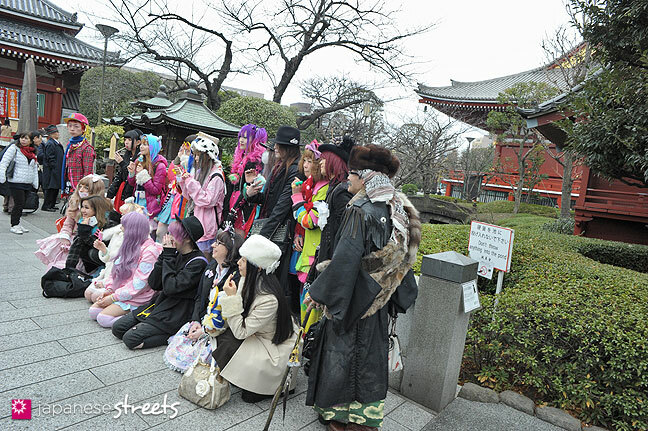 The next Special Edition Harajuku Fashion Walk will be on March 6, when we go and sweep the streets of Tokyo’s Akihabara. 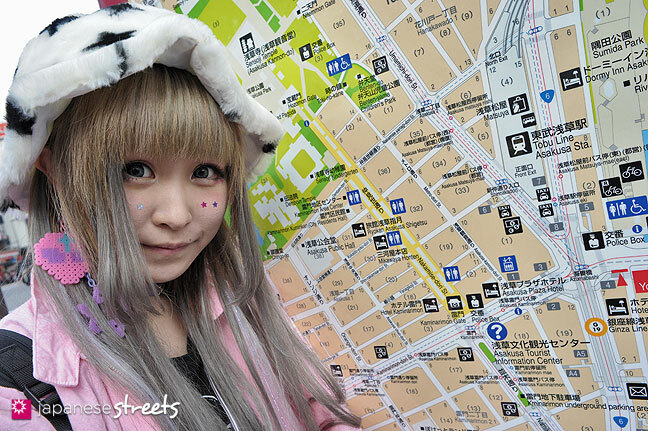 We will depart at 2 PM from JR Akihabara Station’s Electric Town Exit. 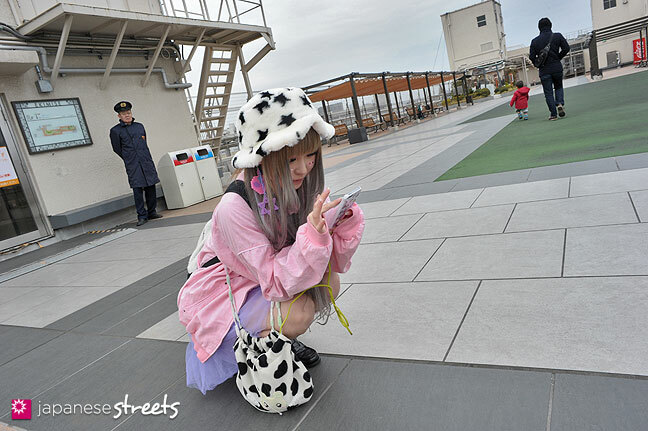 You shot a lot of nice outfits! 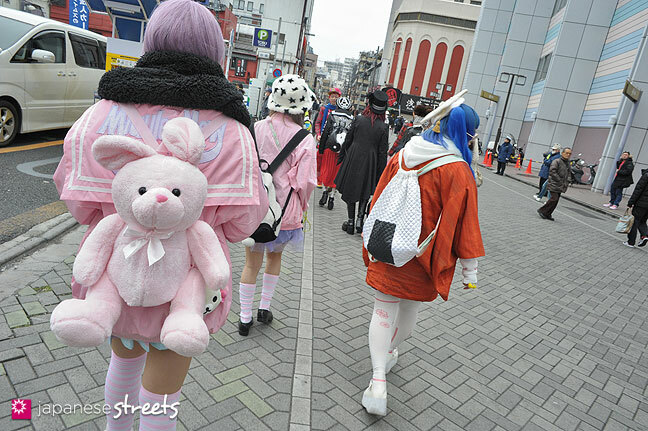 I wonder how often people dress up like this because it looks like an enormous effort to create a detailed outfit (like the ones we can see here). 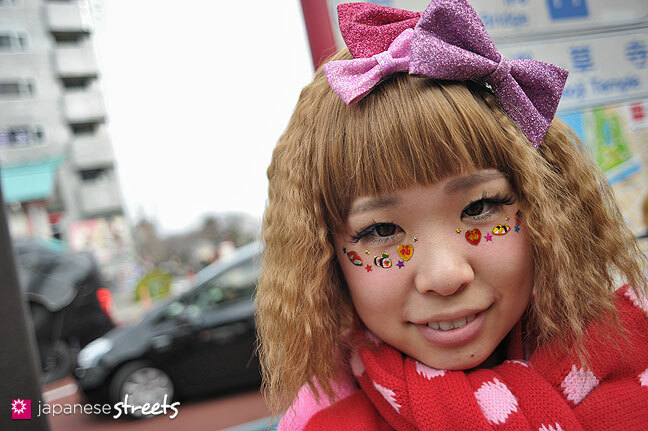 many people use lots of accessoires and/or draw on their faces or put stickers on it. 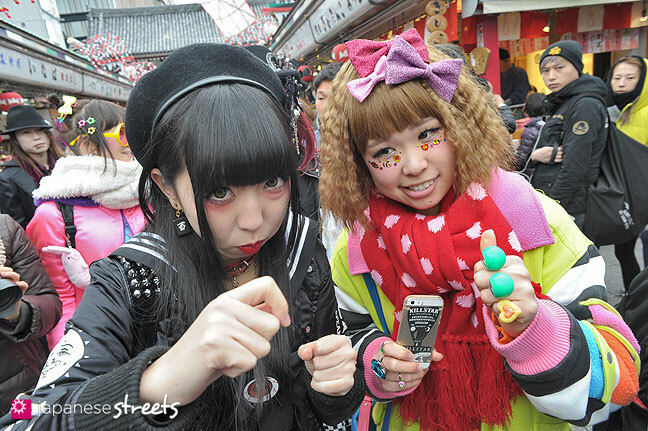 they put a lot of energy into this even though it won’t last to the next day. 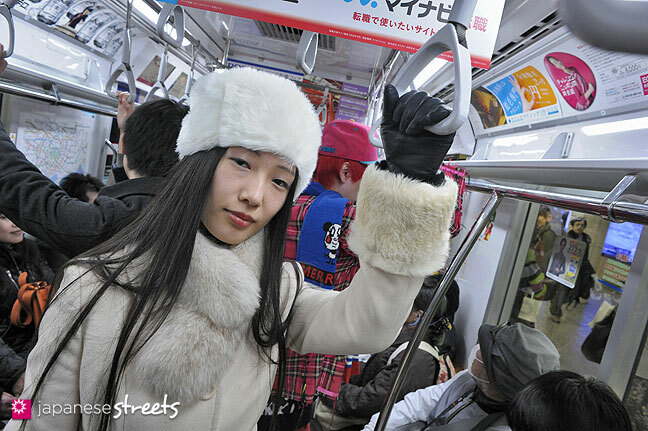 i really like the outfit of the girl who was dressed in beige with the fuzzy hat (even though i hope it is fake or 2nd hand fur). 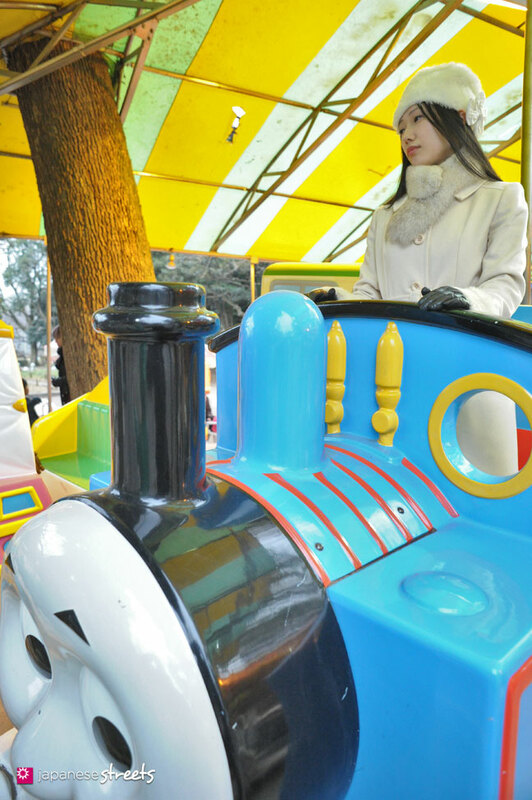 it looks so classy. 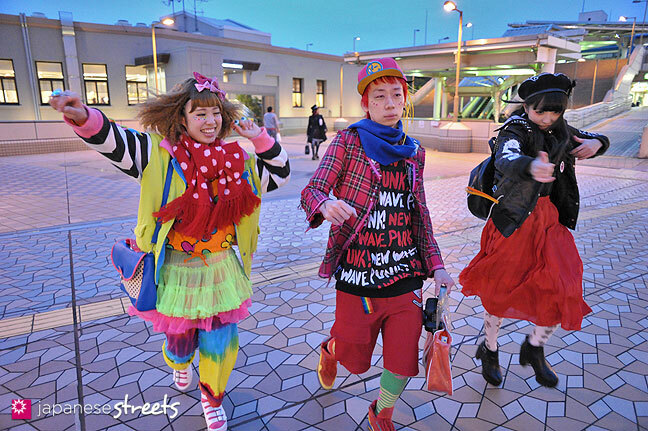 but the colorful outfits are also great to look at, they have something joyful and happy about them. 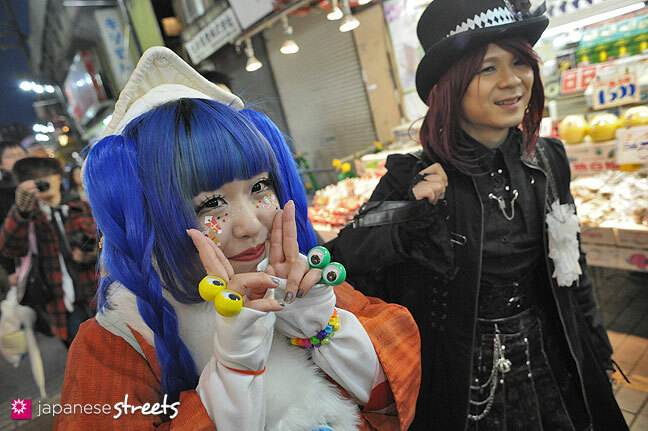 The girl you refer to, reminded me of Maetel of Galaxy Express 999.